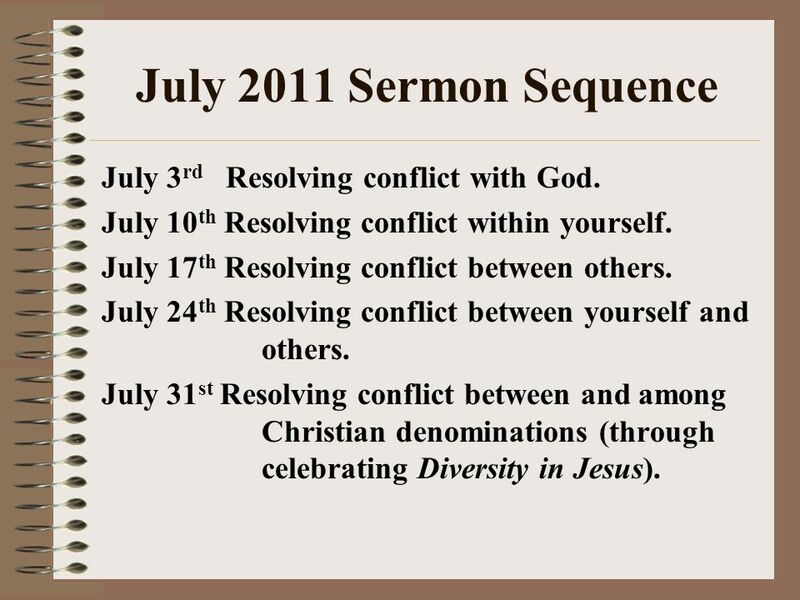 July 2011 Sermon Sequence July 3 rd Resolving conflict with God. July 10 th Resolving conflict within yourself. July 17 th Resolving conflict between others. 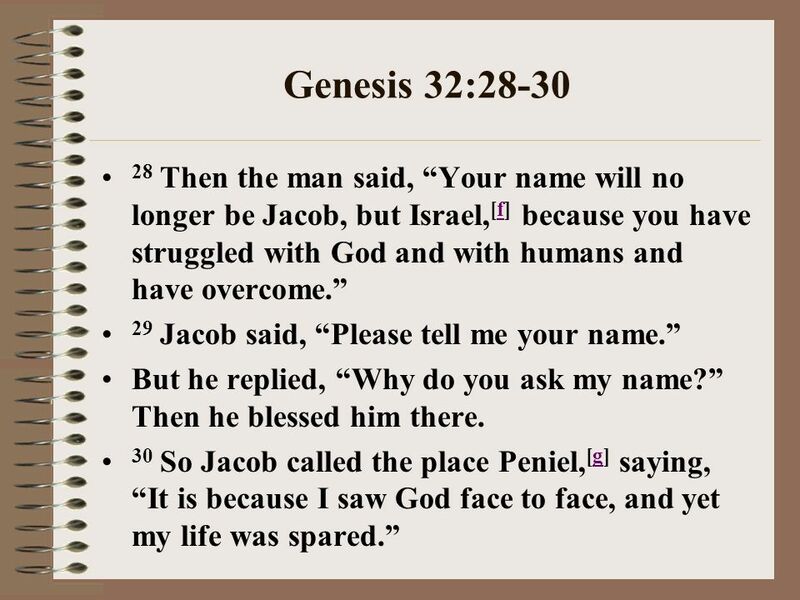 1 July 2011 Sermon Sequence July 3 rd Resolving conflict with God. July 10 th Resolving conflict within yourself. July 17 th Resolving conflict between others. July 24 th Resolving conflict between yourself and others. July 31 st Resolving conflict between and among Christian denominations (through celebrating Diversity in Jesus). 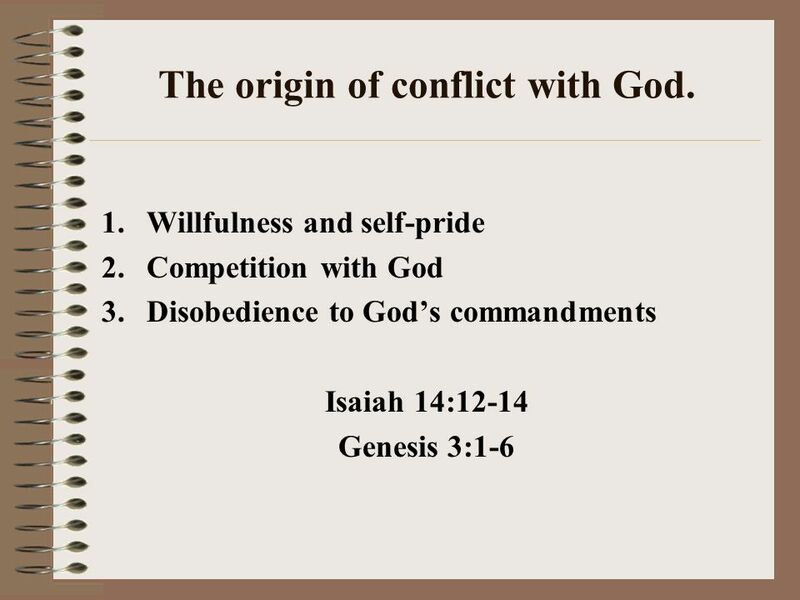 3 Todays Sermon Take-Aways 1.The origin of conflict with God. 2.Biblical examples of conflict with God. 3.The source of all righteousness. 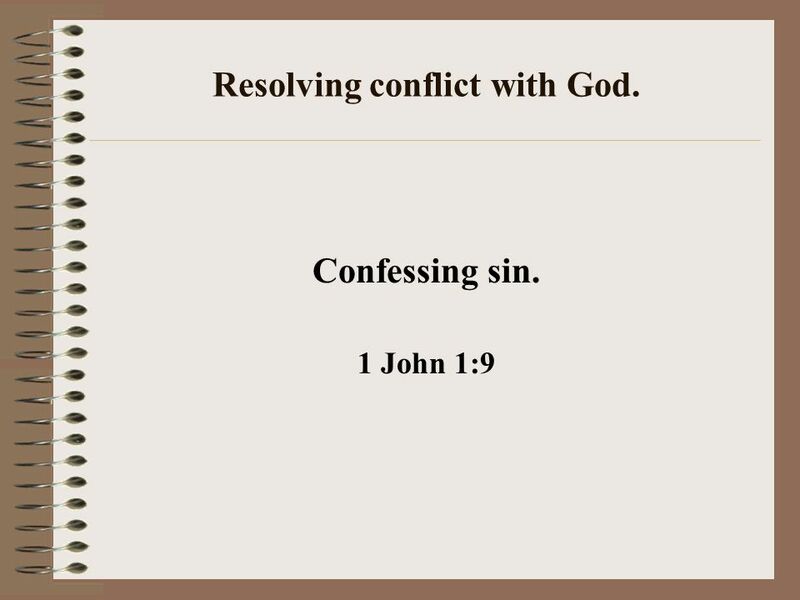 4.Resolving conflict with God. 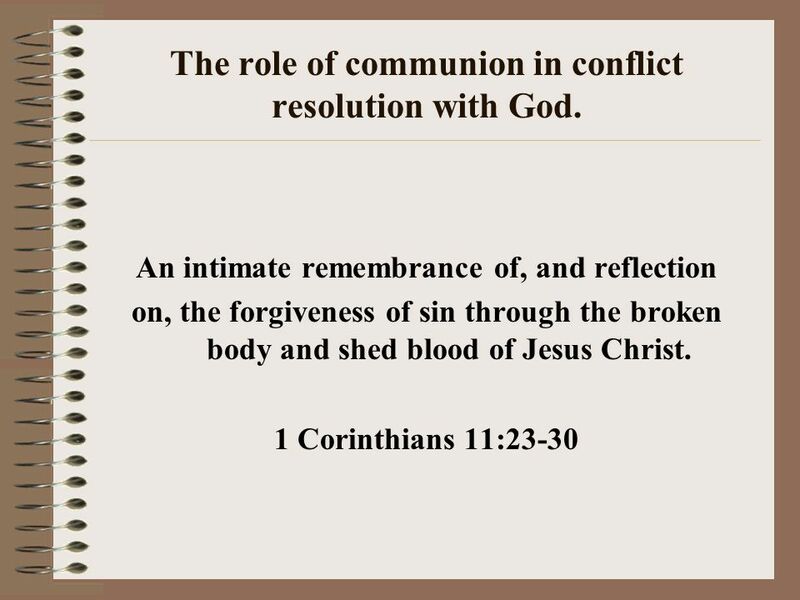 5.The role of communion in conflict resolution with God. 5 Genesis 3:1-3 1 Now the serpent was more crafty than any of the wild animals the LORD God had made. He said to the woman, Did God really say, You must not eat from any tree in the garden? 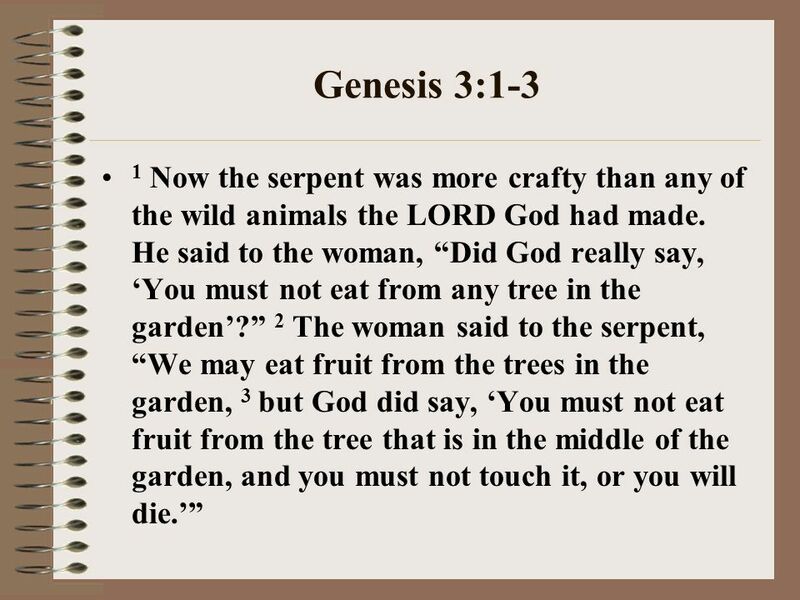 2 The woman said to the serpent, We may eat fruit from the trees in the garden, 3 but God did say, You must not eat fruit from the tree that is in the middle of the garden, and you must not touch it, or you will die. 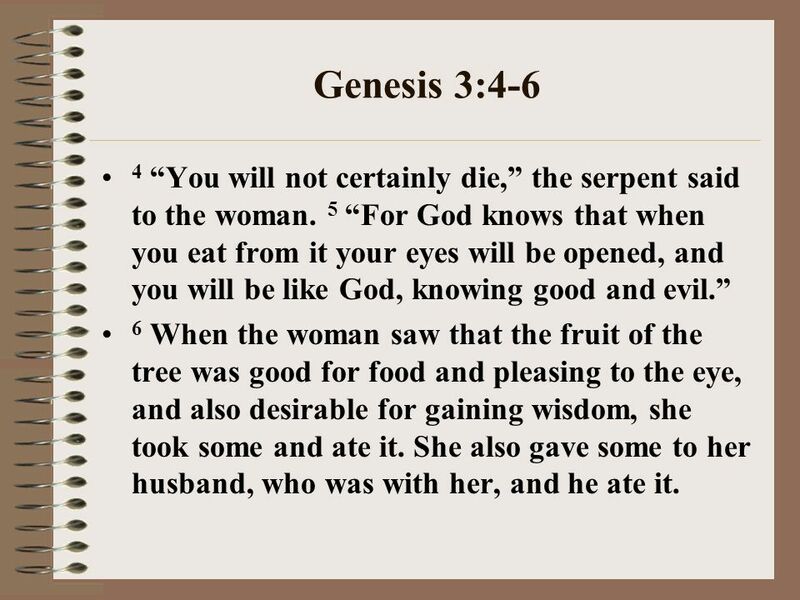 6 Genesis 3:4-6 4 You will not certainly die, the serpent said to the woman. 5 For God knows that when you eat from it your eyes will be opened, and you will be like God, knowing good and evil. 6 When the woman saw that the fruit of the tree was good for food and pleasing to the eye, and also desirable for gaining wisdom, she took some and ate it. She also gave some to her husband, who was with her, and he ate it. 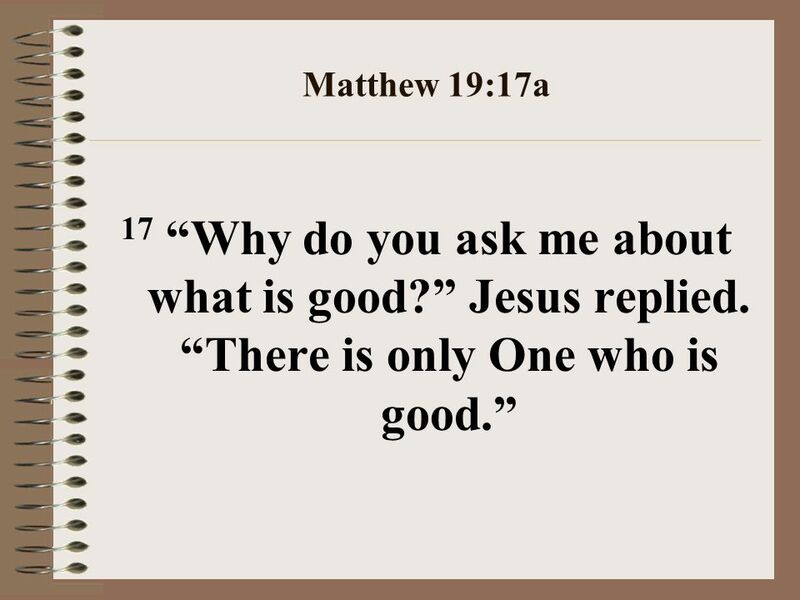 10 Matthew 19:17a 17 Why do you ask me about what is good? Jesus replied. There is only One who is good. 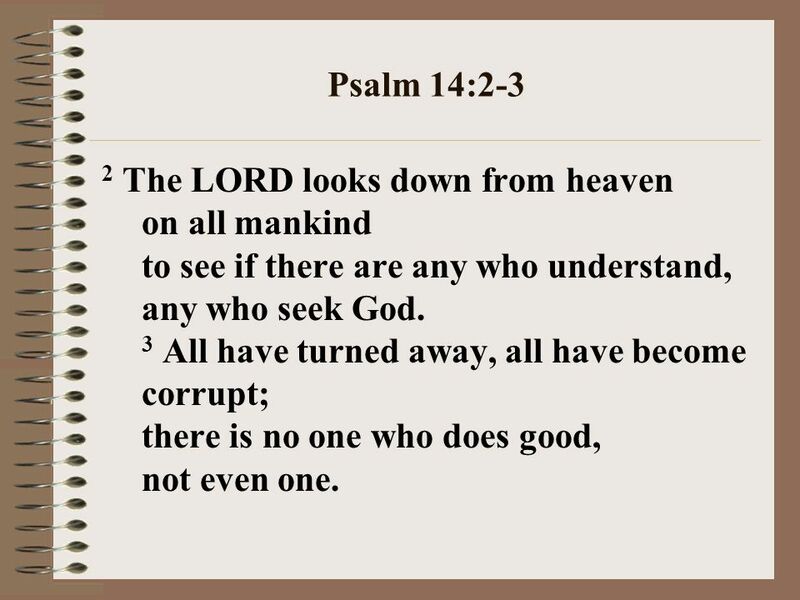 11 Psalm 14:2-3 2 The LORD looks down from heaven on all mankind to see if there are any who understand, any who seek God. 3 All have turned away, all have become corrupt; there is no one who does good, not even one. 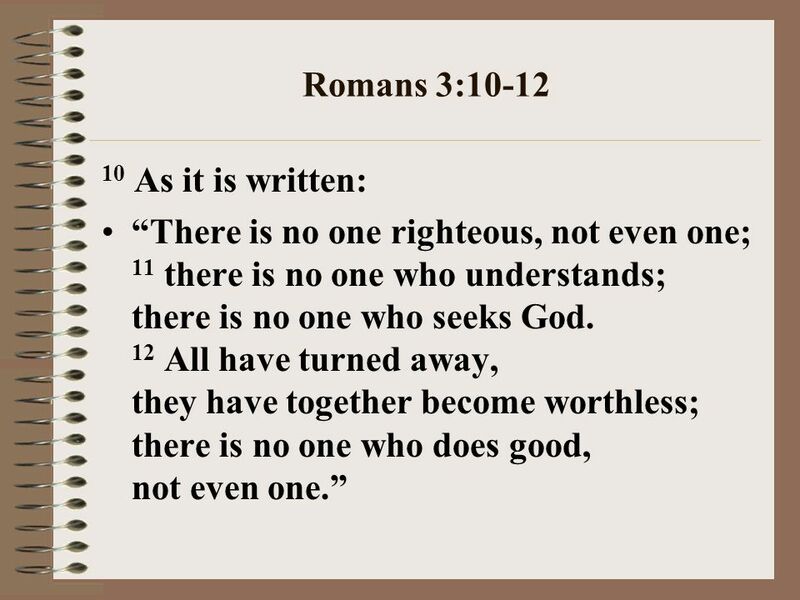 12 Romans 3:10-12 10 As it is written: There is no one righteous, not even one; 11 there is no one who understands; there is no one who seeks God. 12 All have turned away, they have together become worthless; there is no one who does good, not even one. 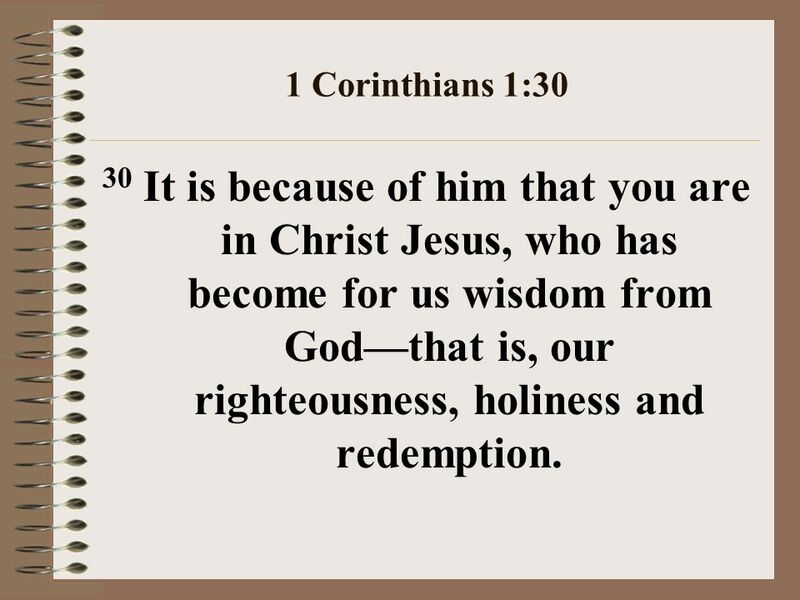 13 1 Corinthians 1:30 30 It is because of him that you are in Christ Jesus, who has become for us wisdom from Godthat is, our righteousness, holiness and redemption. 16 If we confess our sins, he is faithful and just and will forgive us our sins and purify us from all unrighteousness. 18 1 Corinthians 11:23-26 23 For I received from the Lord what I also passed on to you: The Lord Jesus, on the night he was betrayed, took bread, 24 and when he had given thanks, he broke it and said, This is my body, which is for you; do this in remembrance of me. 25 In the same way, after supper he took the cup, saying, This cup is the new covenant in my blood; do this, whenever you drink it, in remembrance of me. 26 For whenever you eat this bread and drink this cup, you proclaim the Lords death until he comes. 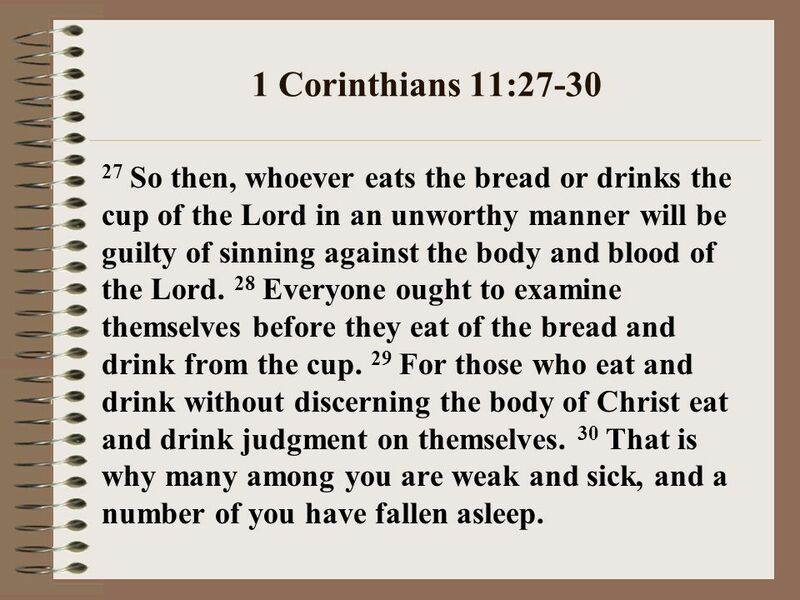 19 1 Corinthians 11:27-30 27 So then, whoever eats the bread or drinks the cup of the Lord in an unworthy manner will be guilty of sinning against the body and blood of the Lord. 28 Everyone ought to examine themselves before they eat of the bread and drink from the cup. 29 For those who eat and drink without discerning the body of Christ eat and drink judgment on themselves. 30 That is why many among you are weak and sick, and a number of you have fallen asleep. 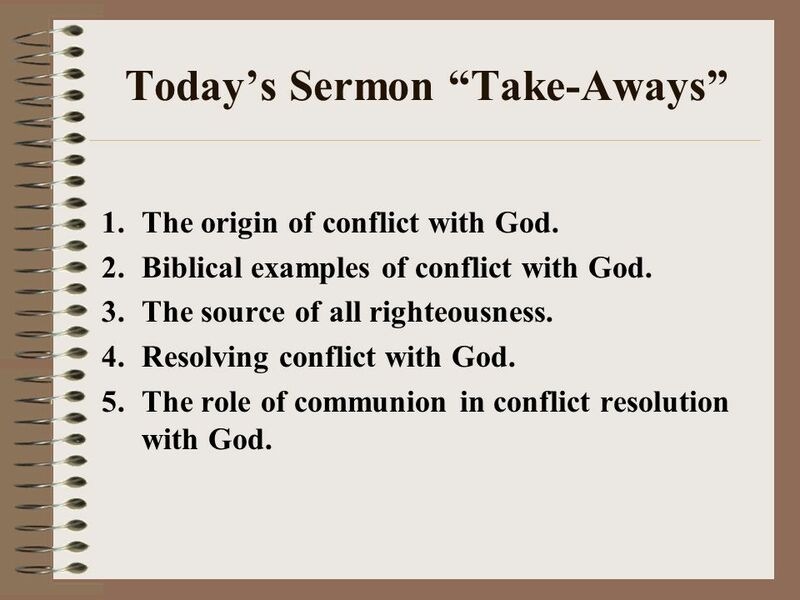 20 Todays Sermon Take-Aways 1.The origin of conflict with God. 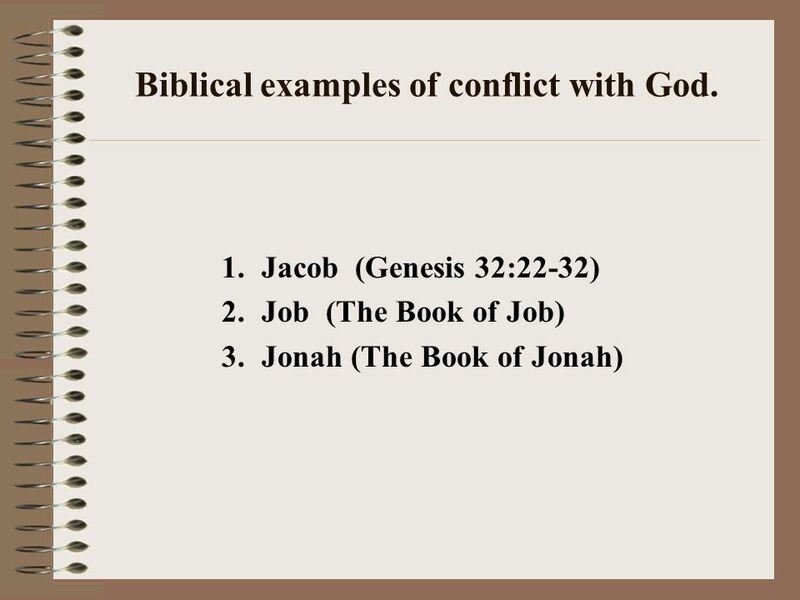 2.Biblical examples of conflict with God. 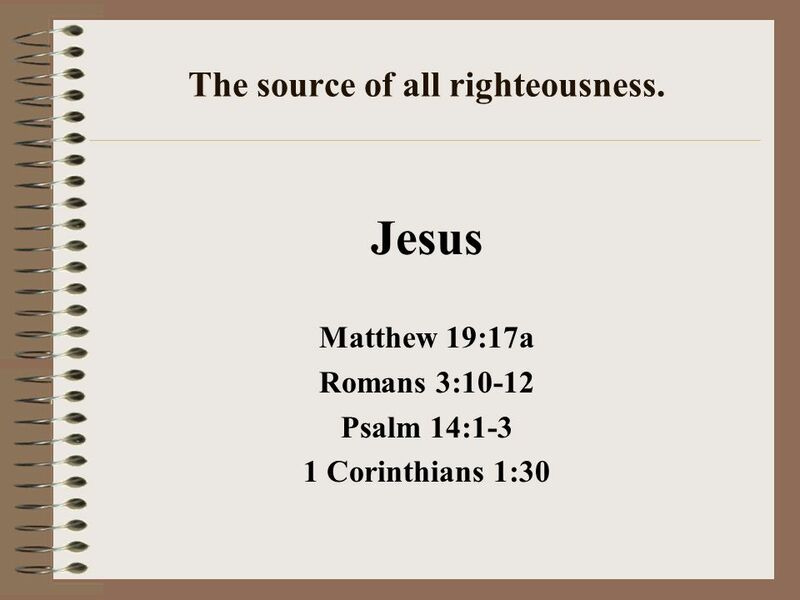 3.The source of all righteousness. 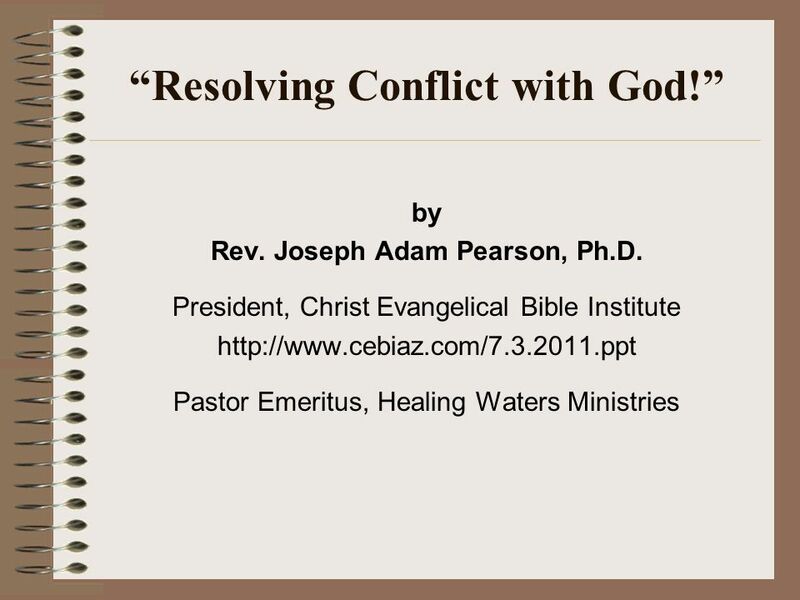 4.Resolving conflict with God. 5.The role of communion in conflict resolution with God. 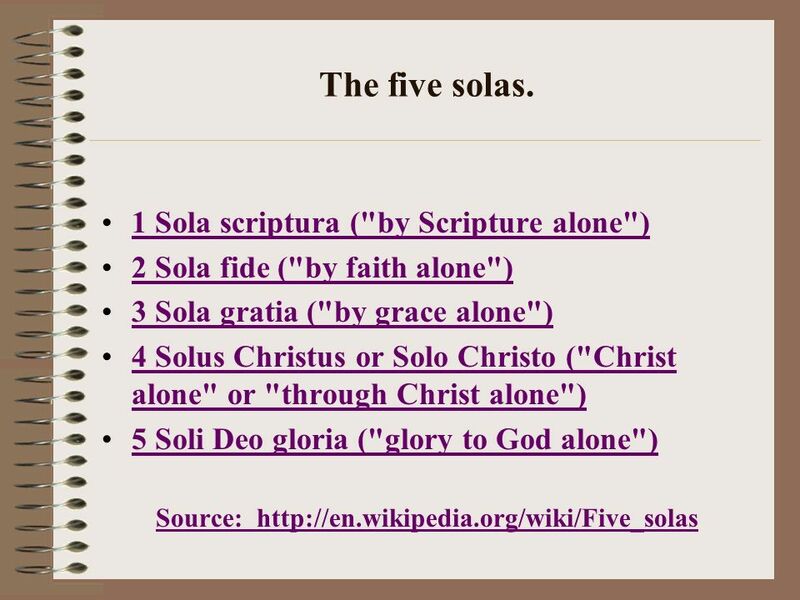 Download ppt "July 2011 Sermon Sequence July 3 rd Resolving conflict with God. July 10 th Resolving conflict within yourself. July 17 th Resolving conflict between others." Welcome To BARRETTS CREEK BAPTIST CHURCH “Wise men still seek Him!” PLEASE BE SILENT DURING THIS TIME. 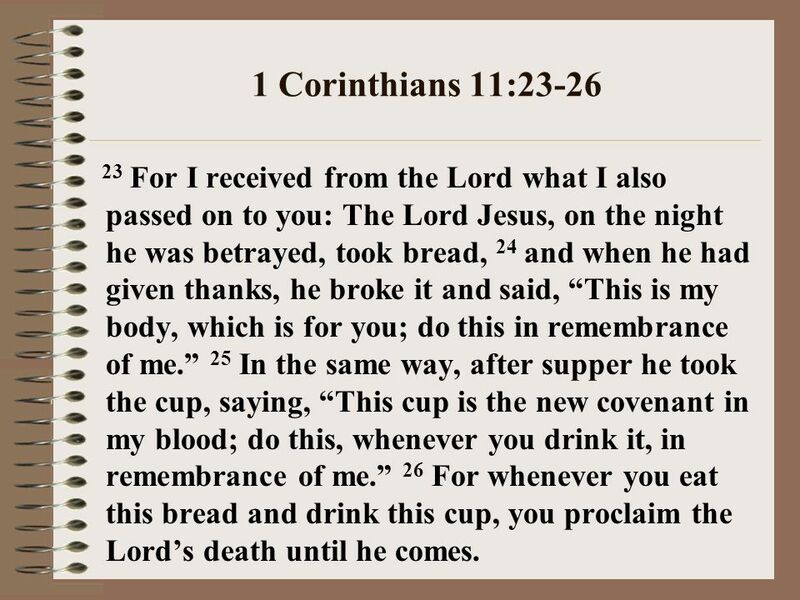 The Lord’s Supper 1 Corinthians 11: Corinthians 11:20. Lesson 9 for December 1, He established the rite of animal sacrifices to the patriarchs. He established a complex rite system to the people of Israel. Genesis.1:28 *INTIMACY *INFLUENCE *INHERITANCE Genesis.3:1-10 Now the serpent was more crafty than any of the wild animals the L ORD God had made. He. Questions To Ask As We Approach Scripture: 1. What is the Context: Who/ What/When/Where? 2. What is the Main Intent of the Passage? 3. What does this. The Moment that Changes Everything “Early on the first day of the week, while it was still dark, Mary Magdalene went to the tomb and saw that the. Confession and Communion Lesson 21. What should I do when I sin? Proverbs 28:13 Proverbs 28:13 13 He who conceals his sins does not prosper, but whoever.